Fiona Gallagher has left her family behind and is starting a new journey of her own. 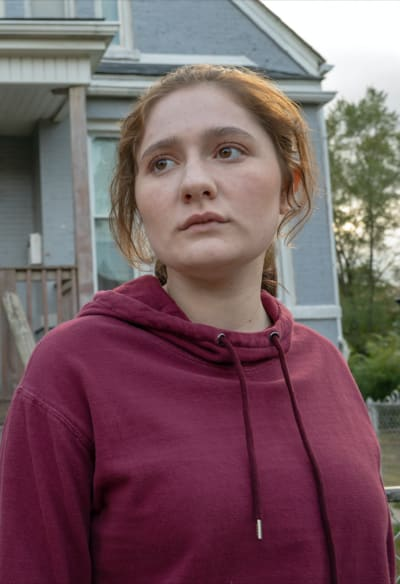 Shameless Season 9 Episode 14 gave Fiona the perfect opportunity to move on with her life, well away from the South Side. It was an ambiguous exit, for sure, but it was true to the character. If you watch Shameless online, you know that Fiona has been happy multiple times, but it's always temporary. Things get in the way, she falls off the rails, and when she falls, she falls hard. Having the $100k gave her a once in a lifetime opportunity, and she needed to utilize it in the best way she could. "Found" chronicled Fiona's sudden realization that her family has grown up to the point that they don't rely on her as much as they once did. For all of her life up to this point, she's had to go through the motions of looking after her siblings, providing for them, and even sacrificing some of the things she wants to do. For the first time in a long time, Fiona was in control of her own life, and it was beautiful that she opted to use the money to start a new life elsewhere. The acting from Rossum and William H. Macy during their final scene together was their best to date. Frank knew he had one chance to say goodbye to his daughter, but he's one of the most stubborn people around. He understood that there would be a Fiona shaped hole in the family dynamic with her gone, but he didn't want to admit that she legitimately raised all of his children. That would have been far too damaging to his ego. The scene was needed because it gave Fiona more drive to move on with her life. While I felt sad that we never got to see her say goodbye to everyone, Fiona made a valid point that she didn't trust herself to follow through with it the longer she stuck around. Leaving $50k for Debbie was predictable because Fiona wanted to make sure there was money aside in the event disaster strikes and she's not around to help out. Debbie has taken over the family finances and is as frugal as she needs to be to help the family survive when the going gets tough. Giving her the money was the best course of action. Debbie thought Fiona leaving before her party meant that she hated her, but that couldn't be further from the truth. Now that Debbie has the money, it will be fun to see what she plans to do with it. Fiona's chat with Ian about the future brought everything full circle for her in my eyes. She's always had a strong bond with Ian, so it was great that Cameron Monaghan returned for the season finale. His advice was perfect. Fiona had a real shot at making a change, and she needed to get out of the city and possibly the country to somewhere where there are better jobs, and a better standard of living. Fiona stopping by the prison also allowed us to get some insight into what Ian and Mickey's life is like together on the inside, and that was needed. Many people thought that the perfect exit for Fiona would have been for Jimmy/Steve to make a last-minute comeback, sweep her off her feet and for her to run off with him. While I can see the benefits of wrapping things up in a neat little bow for Fiona, I'm glad she left alone. Every single time there's been a man involved, things get messed up. She has no luck in relationships, and I appreciate that she wants to remain single, travel the world, and make a fresh start. We know she won't be buying another building, and that's a good thing. The best part of this is that Rossum can pop back up as Fiona down the line if she wants to, but I'm not going to hold my breath. Rossum is one of the best actresses on TV, and she has a bright future ahead of her. 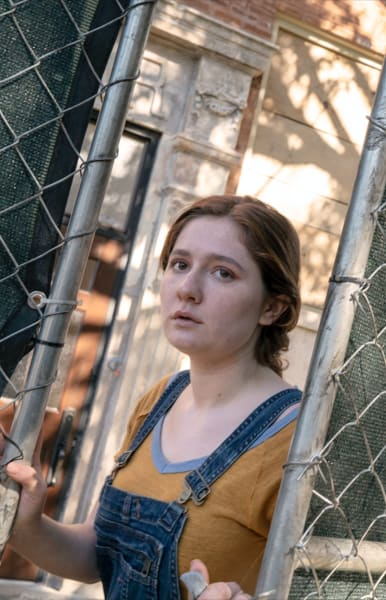 Shameless is heading into uncharted territory with Season 10, and it's going to be exciting to see whether a new female lead will join the cast, or if we will follow the other characters. I wouldn't mind Kelly and Tammi sticking around in more permanent roles. 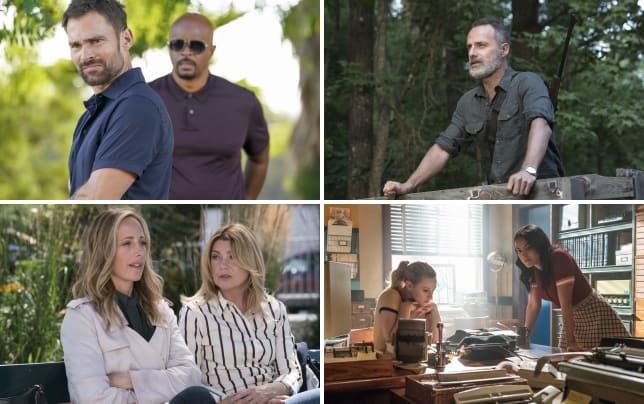 It's difficult to join a show late in its run and strike a chord with viewers, but both characters bring a lot to the table. I'm happy Kelly finally told Carl how much she loves him. Carl was spiraling out of control and thinking that his life got ruined and that he was destined to work in fast food for the rest of eternity. We witnessed a vulnerability in Carl that we've never seen before. He was hurting. He felt worthless and that he should allow others to make decisions for him. He didn't do all of that training for West Point to give up on his dream. There are still other directions he can take his life in, but he needs to learn to spell. I can't be the only one who laughed a little too much at what he wrote on Kelly's car. As for Tammi, she needs to decide what she wants out of life. If her primary concern is her child being parentless, then she needs to start the process of giving her baby up for adoption. I don't doubt for one minute that Lip could be a great father, but with Tammi, there's no telling what she's going to do next. At one point, I thought she was going to crash her car and meet a fiery end. She's very unpredictable. Liam slamming the door on Debbie's face after moving out was a comical moment. The youngster was worried that his family was not telling him enough about black history. In his defense, the family took a couple of days even to notice that he was gone the first time. His frustration is warranted, and I hope Debbie makes changes so that her brother feels included. "Found" would have worked as a series finale. The characters all hit milestones, and we're left to ponder just how some of them will mess things up during the break. 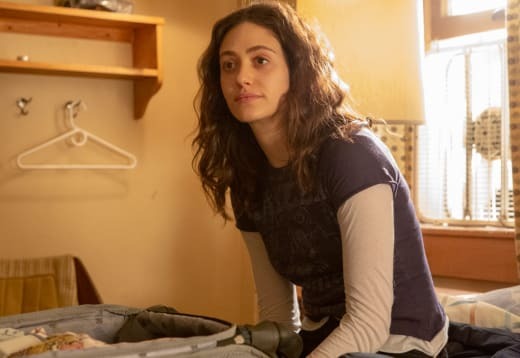 Shameless is one of my favorite TV shows and has been since it debuted, but I'm worried at about how things will play out down the line. The quality has been all over the shop, and that's typical for shows that have been on the air for nine years. For many fans, Fiona was the glue that kept the family together. With her gone, the powers that be are going to need to need to craft intriguing storylines to keep fans tuning in. What are your thoughts on Fiona's departure? Was it the perfect goodbye for you? 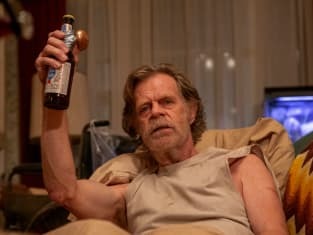 Shameless returns later this year.